For Windows, macOS and Linux. Simply download and start using it right away. No registration required. OpenBoard is released under the GPLv3 License and maintained by the community on GitHub. Available on Windows, Mac and Linux so you can stay with what you like the most. OpenBoard is easy to use yet powerful. It is a tool that can help you do your job and does not get in the way. Engage K-12 Student with interfactive courses or give the prefect lecture at University. Use a pen tablet, an interactive whiteboard or even a mouse to write and annotate your course. We are constantly working the improve the writing experience. 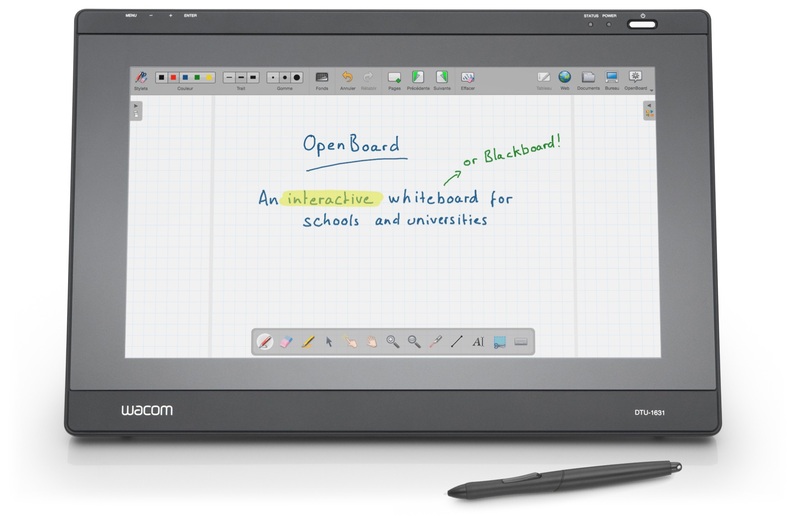 OpenBoard is an open source cross-platform teaching software for interactive whiteboard designed primarily for use in schools and universities. It can be used both with interactive whiteboards or in a dual-screen setup with a pen-tablet display and a beamer. Where is it from ? OpenBoard was originally forked from Open-Sankoré 2.0, which was itself based on Uniboard. This fork was created to refocus the software on its original core functionalities and values, that is the work of a teacher in a classroom, privileging the ease of use. The evolution of this software will therefore take place in accordance with these core principles. Supported platforms are Windows (7+), macOS (10.9+) and Linux (tested on 16.04). Currently, OpenBoard is maintained by the Education Department (DIP) of the canton of Geneva, in Switzerland. The University of Lausanne, who developped the original Uniboard software in 2003 has joined the effort by means of a logistical and financial contribution. An association project will be developed in 2019. A meeting was held in June 2016 between representatives from the universities of Lausanne, Neuchâtel, Fribourg and Geneva, the departments of Education from the cantons of Geneva and Jura as well as various institutions from the canton of Vaud (Switzerland) to together reflect on the desired evolution of OpenBoard. Interest is growing fast across Switzerland but also in Europe and North America. A swiss law non-profit organisation should be created. This organisation would promote OpenBoard and its open source development and foster collaboration between interested parties. This in respect of the core principles which led to the creation of this fork, that is the refocusing on the work of a teacher in a classroom, privileging the ease of use.